David Willey's Transport blog: The future of the UK's Antarctic science fleet. This year, the government announced a new Antarctic research vessel to replace the RRS James Clark Ross. The new ship will be bigger than the vessel it replaces, enabling a continuing British presence in the Antarctic for many years to come. 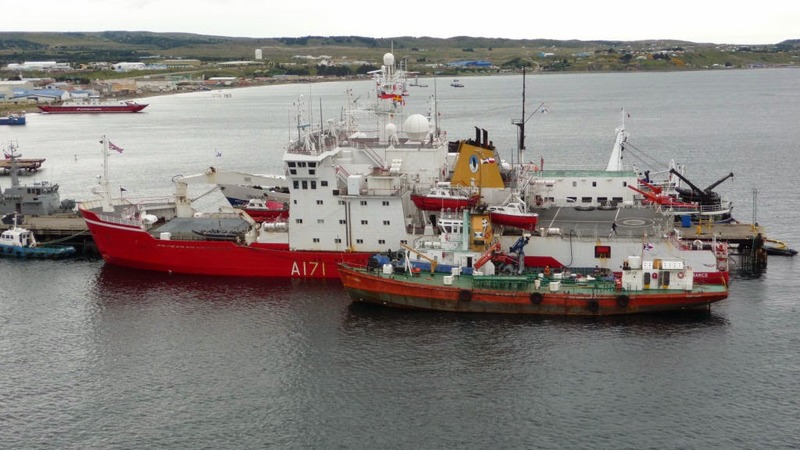 As well as the British Antarctic Survey's ships, the Royal Navy has an ice patrol vessel, HMS Protector, which replaced the damaged HMS Endurance (see photo). Protector is viewed as only a temporary replacement, and does not have any permanent hangar facilities for a helicopter, but I wonder if a sister to the BAS's new ship could be built alongside it for the Royal Navy? Ideally in a British shipyard.